1. OMM is pleased to announce an innovative program for empowerring the community with service. We are asking our memebers to volunteer a short amount of time to introduce their expertise to any one initerested in learning. If you are interested in teaching Music, Yoga , Meditation, cooking , photography or any other skill please e-mail : Jagannath Swami. These 200$ priced classes are brought for Our community for free and everyone is requested to take an advantage of such events. This interesting or interest developing workshop is brought for Our community for free and everyone is requested to take an advantage of such events. For #2, Pot and Canvas to be brought by participants. As part of OMM Seva initiative, we are delighted to have Kids’ Yoga expert volunteering for “Yoga for Kids” initiative. 2. 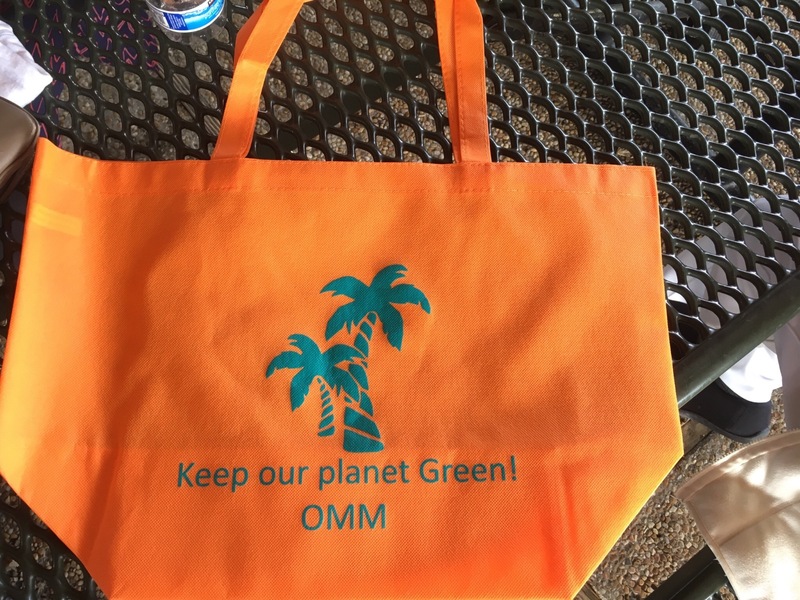 OMM's Go Green Program. Don't use Plastic please!! instead Use me. You can order any number of bags. Please give us a week’s time to get them ready for you. Contact Surekha Patange. Bag Dimensions : 16" W x 12" H x 6" Gusset, Handle Length : 28"